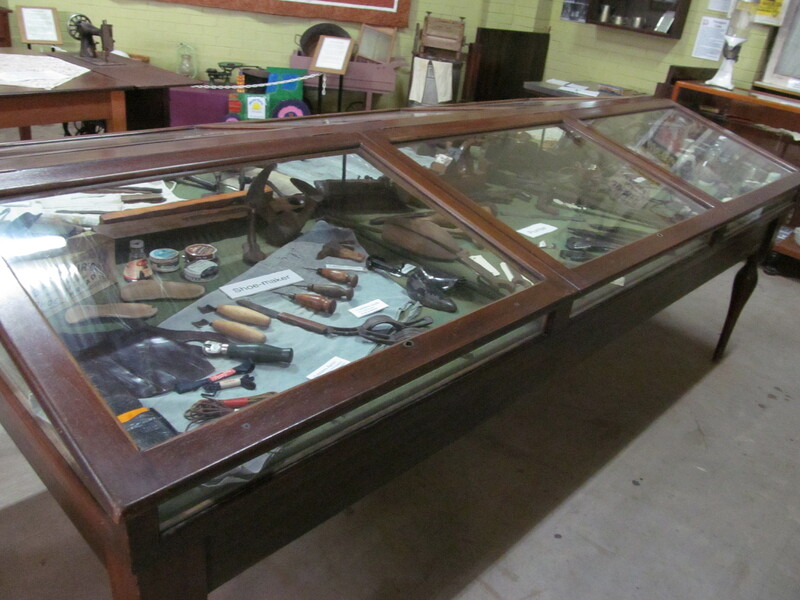 Old Queensland Museum cases, Cloncurry. 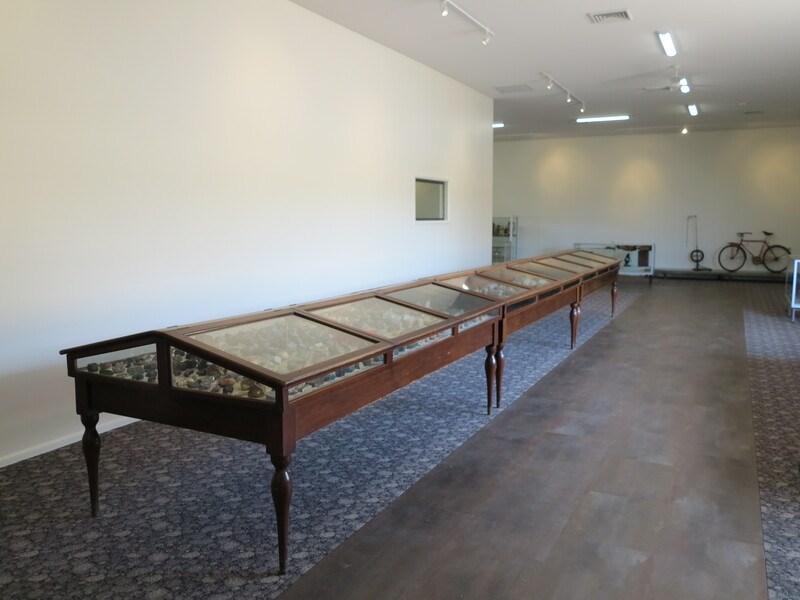 Timber display cabinets that once housed Queensland Museum’s collections in Brisbane have been unearthing themselves in museums throughout the State. Mary Kathleen Park in Cloncurry and James Cook Museum in Cooktown have both been visited recently by Cairns based MDO, Jo Wills, and Townsville based Ewen McPhee where they came accross the cases. Further enquiries also found them in Kingaroy at the Kingaroy Heritage Museum. All of the cases appear to be in good condition, and most are intact with early glass and are being used as intended – to display the State’s moveable cultural heritage. They are also a collection object in themselves. The cases came from the Old Queensland Museum in Brisbane when it was located in the Brisbane Exhibition Hall from 1899. Queensland Museum remained in this building until 1986 when a new Queensland Cultural Centre was constructed. In fact the cases may be even older than the Exhibition Hall phase as there were earlier buildings that were also used by Queensland Museum. For a history on other buildings used by the Queensland Museum have a look at this blog here. Please leave a comment or get in touch if you know any more about the history of these display cases or if your local museum or collecting place has some as well. Old Queensland Museum cases, Cooktown. 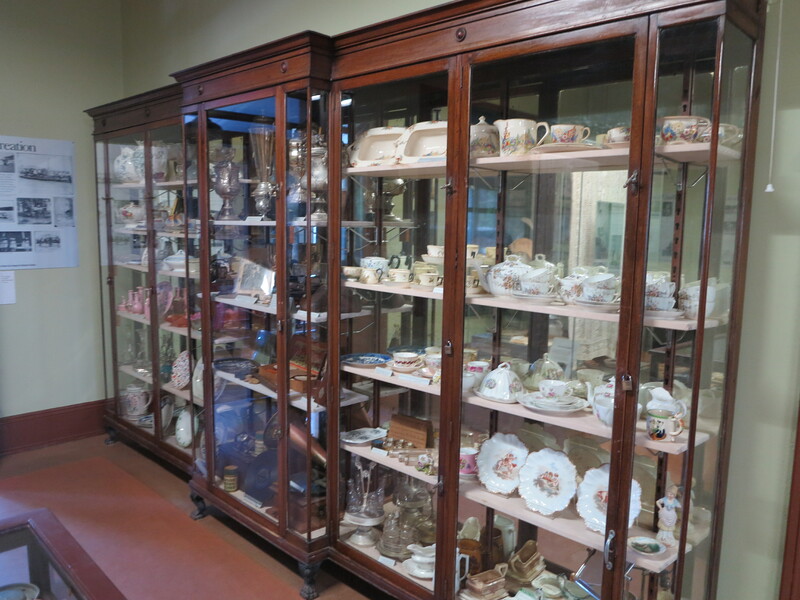 Old Queensland Museum cases, Kingaroy. Posted on 13 November 2012, in Uncategorized and tagged cloncurry, Cooktown, ewen, Jo, Kingaroy, Queensland Museum. Bookmark the permalink. 5 Comments. these cases look absolutely beautiful and wodnerful to still see them being used. They have such a different quality to modern display cases, although I am sure they have challenges as well. I recall that QM still has some cases, and also some on loan to Brisbane-based museums. 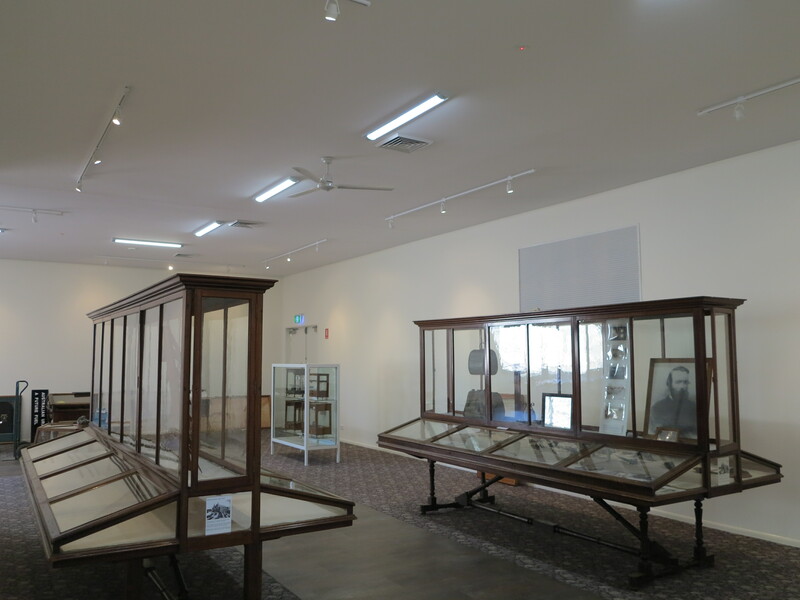 I agree, it was great to be able to work with them in Cloncurry – they certainly lift the exhibition space to a new level and draw people in to learn about the objects inside. One of the challenges is moving them, luckily for us we were able to enlist the help of sixteen men to move the big ones, Ewen. I think I’ve seen these museum cases at many places around the State including Eidsvold Historical Complex and Miles Historical Village to name a couple. Thanks for the tip off, I will have to get Lydia to take some photos of the ones in her region. I am amazed that they were dispersed so widely and remained so intact – must be all of that old fashined museum packing and handling! Had a call today from a man who remembers the cases at the Old Queensland Museum in Brisbane. He told me that they used to have canvas flaps over the glass to keep the light out – and when you wanted to look at what was inside you had to lift the canvas – anyone else remember this?